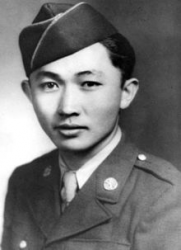 Private First Class Kiyoshi K. Muranaga (16 February 1922 - 26 June 1944) was a U.S. Army soldier who was posthumously awarded the U.S. military's highest award for valor, the Medal of Honor, for his actions during World War II. Kiyoshi K. Muranaga was born on 16 February 1922 in Los Angeles, CA. 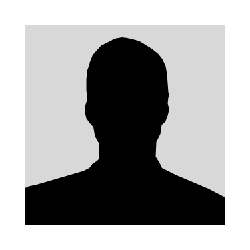 At the beginning of World War II, he interned with his family at the Granada War Relocation Center in Colorado. On 26 June 1944, Muranaga was serving as a Private First Class in the 442nd Regimental Combat Team. Near Suvereto, Italy, that day he single-handedly manned his squad's mortar weapon in an attempt to destroy an enemy artillery gun. Muranaga was able to fire three shells before being killed by the enemy's return fire. For his actions during the battle, he was posthumously awarded the Army's second-highest award for valor, the Distinguished Service Cross. A 1990 review of service records for Asian Americans who received the Distinguished Service Cross during World War II led to Muranaga's award being upgraded to the Medal of Honor. In a ceremony at the White House on 21 June 2000, his surviving family was presented with his Medal of Honor by President Bill Clinton. Twenty-one other Asian Americans also received the Medal during the ceremony; all but seven of them posthumously. Muranaga's brothers Kenichi, Yo, and Tomi also served in World War II. All served in the all Japanese-American volunteered 442nd RCT. Citation: Private First Class Kiyoshi K. Muranaga distinguished himself by extraordinary heroism in action on 26 June 1944, near Suvereto, Italy. Private First Class Muranaga's company encountered a strong enemy force in commanding positions and with superior firepower. An enemy 88mm self-propelled gun opened direct fire on the company, causing the men to disperse and seek cover. Private First Class Muranaga's mortar squad was ordered to action, but the terrain made it impossible to set up their weapons. The squad leader, realizing the vulnerability of the mortar position, moved his men away from the gun to positions of relative safety. Because of the heavy casualties being inflicted on his company, Private First Class Muranaga, who served as a gunner, attempted to neutralize the 88mm weapon alone. Voluntarily remaining at his gun position, Private First Class Muranaga manned the mortar himself and opened fire on the enemy gun at a range of approximately 400 yards. With his third round, he was able to correct his fire so that the shell landed directly in front of the enemy gun. Meanwhile, the enemy crew, immediately aware of the source of mortar fire, turned their 88mm weapon directly on Private First Class Muranaga's position. Before Private First Class Muranaga could fire a fourth round, an 88mm shell scored a direct hit on his position, killing him instantly. Because of the accuracy of Private First Class Muranaga's previous fire, the enemy soldiers decided not to risk further exposure and immediately abandoned their position. 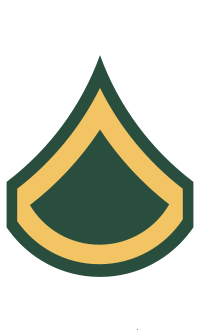 Private First Class Muranaga's extraordinary heroism and devotion to duty are in keeping with the highest traditions of military service and reflect great credit on him, his unit, and the United States Army. Private First Class Kiyoshi K. Muranaga was killed in action on 26 June 1944. He is buried at Evergreen Cemetery in Los Angeles, CA, in Section A 442nd Nisei Memorial.